The Tús scheme provides significant support for community groups and services in the different communities around the county. In practical ways in Leighlinsbridge this means that Tús Workers are involved in the maintenance of flower beds and green spaces around the town, as well as keeping the roads litter-free. This also provides a daily structure to the participant while also building confidence through the learning of new skills. 10 participants in the Leighlinbridge area. 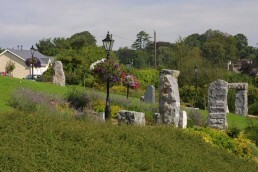 These are involved in the maintenance of the landscaping and open spaces of the town, which was adjudicated as “quite rightly now among the very best” in the National Tidy Towns competition. The LEADER programme provided support towards the development of the Superbowl Sports area. 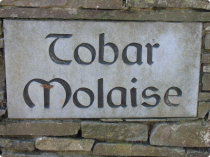 The RSS has 4 participants in the Leighlinbridge area including one at the hugely significant heritage site of Saint Molaise’s Well (or Saint Laserian’s well) in Old Leighlin. 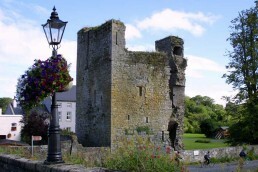 Reference to this site can be found in the 12th Century Book of Leinster and the maintenance support provided here ensures that it is accessible to modern-day pilgrims and tourists.